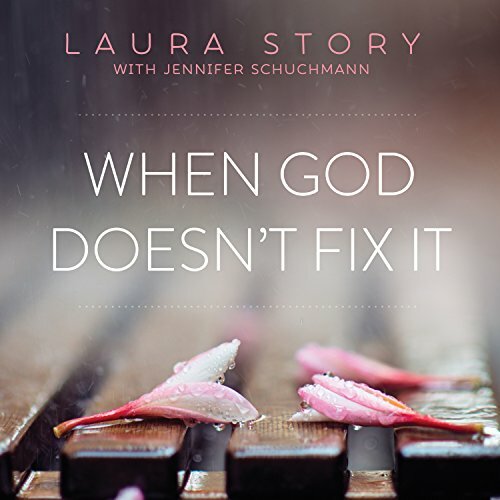 Covering her courtship and marriage to Steven Curtis Chapman, struggles for emotional balance, and living with grief, Mary Beth's story is our story - wondering where God is when the worst happens. In Choosing to SEE, she shows how she wrestles with God even as she has allowed him to write her story - both during times of happiness and those of tragedy. 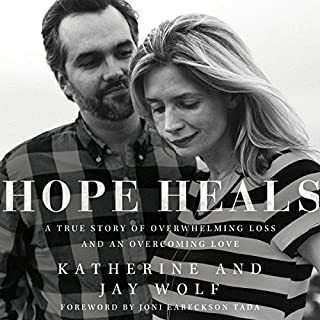 Readers will hear firsthand about the loss of her daughter, the struggle to heal, and the unexpected path God has placed her on. 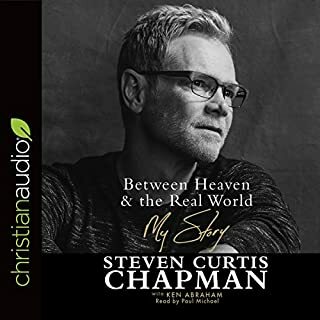 For decades Steven Curtis Chapman's music and message have brought hope and inspiration to millions around the world. Now, for the first time, Steven openly shares the experiences that have shaped him, his faith, and his music in a life that has included incredible highs and faith-shaking lows. Listeners will be captivated by this exclusive look into Steven's childhood and challenging family dynamic growing up, how that led to music and early days on the road, and his wild ride to the top of the charts. Mandy Hale, the creator of The Single Woman, the social media movement that rewrote the rule book about singleness, challenges every woman to see that she is sufficient, acceptable, and complete. 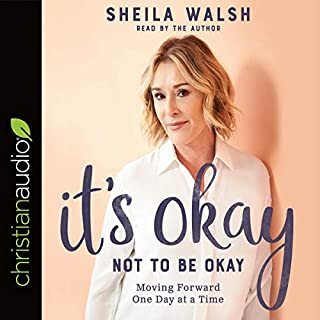 This audiobook is for any woman who wants to overcome heartbreak, claim her healing, and step into wholeness! Authors Kristen Wetherell and Sarah Walton have walked through, and are walking in, difficult times. So these 30 biblical reflections are full of realism about the hurts of life yet overwhelmingly full of hope about the God who gives life. This book will gently encourage and greatly help any woman who is struggling with suffering, whether physical, emotional, or psychological and whether for a season or for longer. It is a book to buy for yourself or to buy for a member of your church or friend. This best-selling book has provided the foundation for a whole new way of thinking about relationships among today’s generation. Rather than chasing after temporary relationships, this book challenges listeners to give the “pen” to God and allow him to script their love story in his own perfect time and way. Worship leader and recording artist Laura Story's life took an unexpected turn when her husband, Martin, was diagnosed with a brain tumor. Their lives would never be the same. Yes, with God all things are possible. But the devastating news was that no cure existed to restore Martin's short-term memory, eyesight, and other complications. The fairy-tale life Laura had dreamed of was no longer possible. And yet in struggling with God about how to live with broken dreams, Laura has found joy and a deeper intimacy with Jesus. Laura helps us understand we aren't the only ones whose lives have taken unexpected turns. 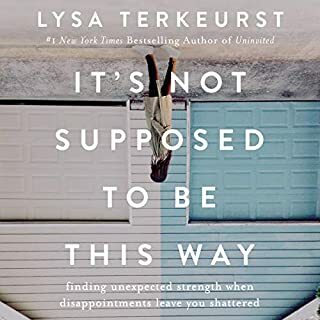 She examines the brokenness of some of the heroes of our faith and shows how, despite their flaws and flawed stories, God was able to use them in extraordinary ways. And it was not because of their faith but because of the faithfulness of their God. God may not fix everything. In fact, although your situation might not ever change or get better, with Jesus you can. This book is very down-to-earth. The situations portrayed in the book are easy for anyone to identify with and gain comfort from. What I gained from reading this book is that things never really are out of control, even when it looks that way to me. And when I think they are out of control, it just means they are out of "my" control. God often answers our prayers in ways we don't expect. And most of the time, looking back, I would have chosen that same solution to the problem if I had known what God knows. Through reading (or in my case, listening to), this book, I learned that when God says "no", or takes something from me, it is because He has something better, something I may never have asked for, because I get so focused on what I think should happen, I can't even consider that I may be settling for less than what God has in mind. This book was such a blessing! I had not heard Laura Story's life-story before. Her life is a testimony to trusting God in the midst of your circumstances one step and one day at a time. I have an illness God hasn't fixed. I believe, I know their is a reason. I maybnot like the reason but I know that Father knows best. Full of wisdom and insight into the struggles of life. Laura was vulnerable and brave as she shared her struggles with living with prayers not answered the way she wanted and unmet expectations. Highly recommend! I look forward to more from this author! This audio book was such a blessing to listen too!! The narrator has a very nice voice to listen too. I recommend this book to everyone!! Male and female. What a remarkable story! Whether you are experiencing a struggle or not, this is a book that will change your perspective. Many Christians see Christ as a vending machine. If we do this or that, we will get what we want. However, we should not serve Him because of what He can do for us. We should serve Him because we love Him. And even when he doesn't "fix" our problems, we must be ready to declare- It Is Well with My Soul. READ THE BOOK IN LESS THAN A WEEK. LOVED IT. SPENT TIME LISTENING TO THE OCEAN WAVES WHILE READING, THAT WAS A PLUS. 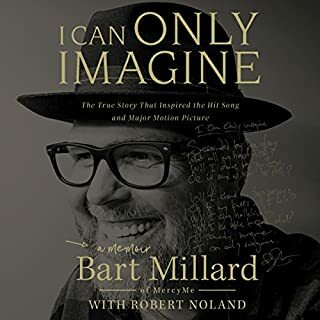 I am dealing with seizures for the second time in my life and I was wondering why me and what is the purpose of me going through this again, but after listening to this book it really helped me to understand God will get the Glory out of everything we go through and it will make my Faith stronger in him. thank you for sharing. So refreshing!! Life can be difficult sometimes (or for many people, most of the time) but God is always with us and will make a way. It is a beautiful story of how God walks us through the difficult times, and makes beauty out of our ashes. This book is peppered with great takeaways designed to help us navigate the myths from the lies concerning our relationship with God. Great book for any Christian.